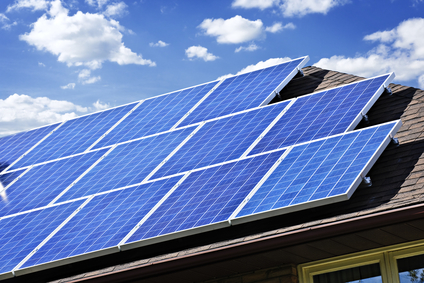 Municipalities have been urged not to penalise people who install solar panels on their roofs by raising the amount they have to pay in local property tax. The OZB, or onroerendezaakbelasting, is calculated as a percentage of the estimated value of the value of a property. The increasing popularity of solar energy in recent years has meant houses that generate their own energy are worth more, meaning higher tax bills. Auke Oldenbeuving, of the Christian Democrat group on Emmen council, is among those calling for the system to be reformed after one resident recently saw the value of his property increasedby an extra €3,000 a year as a result of having 20 solar panels on his property. That in turn boosted his property tax bill. ‘We want people to make their homes more sustainable. We’ve even introduced an attractive loan facility for solar panels. We shouldn’t be reclaiming it through the back door by imposing tax on it,’ Oldenbeuving told AD. Other local authorities such as Haarlemmermeer, Capelle aan den IJssel and Delft have also sought clarification from officials about the way OZB is calculated.